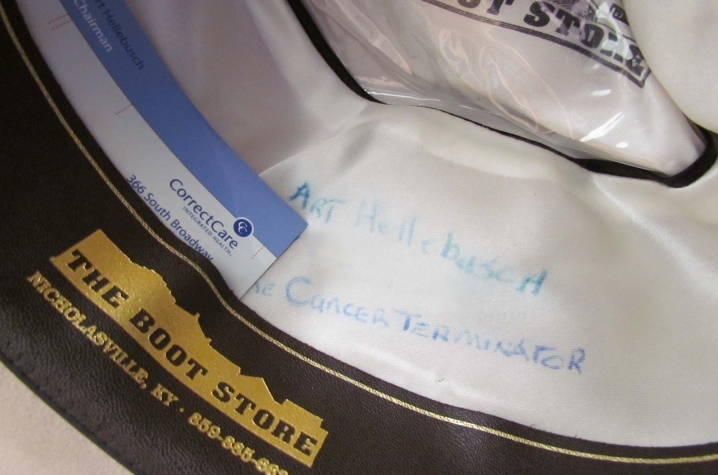 LEXINGTON, Ky. (Nov. 9, 2011) — One Thursday afternoon, Art Hellebusch received a prediction that no one wants to hear. 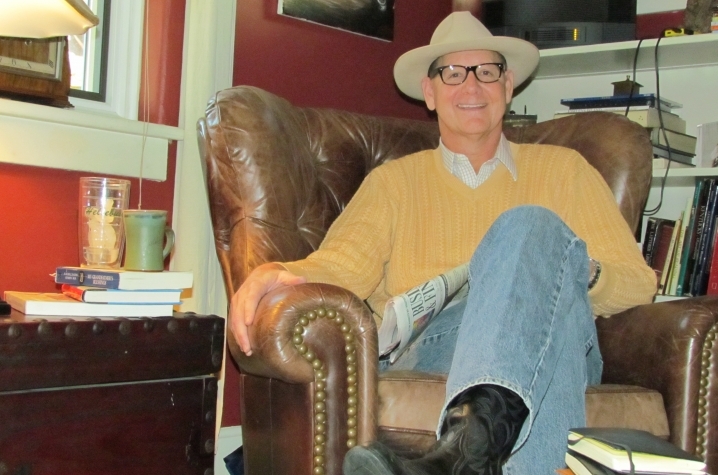 After receiving a diagnosis of stage IV lung cancer that had metastasized to the brain, the 51-year-old Lexingtonian was told he probably wouldn't live through the night and definitely wouldn't last another week. That was Feb. 19, 2009. Today, Hellebusch is proud to say that he's cancer-free, thanks to the help of physicians at Lexington Clinic, St. Joseph Hospital, the University of Kentucky Markey Cancer Center, and MD Anderson Cancer Center in Houston, Texas. Hellebusch's problems began in the summer of 2008. He noticed trouble with his balance and spotty vision, and he started having migraines every day. When his symptoms became too troublesome to ignore, he went to the doctor. His internist scheduled an MRI, and when the results came back, he was sent to a local oncologist. The diagnosis was shocking. He was younger than the average patient. 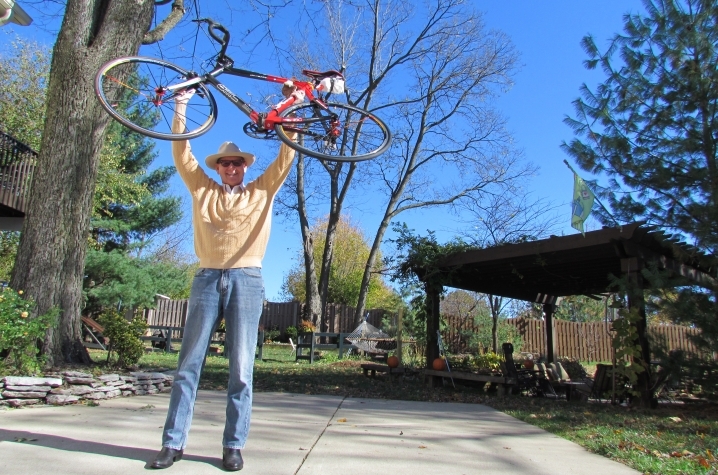 A cyclist, Hellebusch got plenty of exercise, regularly riding 150 miles a week on his bike. He led a healthy lifestyle. "I've never smoked a day in my life," he said. "But I had lung cancer." Despite the bleak prognosis, Hellebusch did not give up his fight. After receiving 15 days of maximum radiation to his brain to shrink the tumor and a few rounds of chemotherapy, he had surgery at St. Joseph Hospital to remove the tumors from his brain. His first oncologist recommended palliative care to assist with pain management and end-of-life issues. As the owner of a health care company and the son of a former UK physician and nursing professor, he knew he had other options and wanted the most aggressive treatment possible. "When he told me we were going to start palliative and maintenance care, I thought, 'That doesn't sound like the direction I'm going!'" Hellebusch said. He switched oncologists and insisted on a PET scan to determine if his cancer was still active and growing. The PET scan found that his lung cancer was still "hot." After making an appointment at MD Anderson Cancer Center in Houston, Texas, he took the results of his PET scan in to Dr. Susanne Arnold, a medical oncologist at the Markey Cancer Center. For Hellebusch, Arnold's calm and compassion made all the difference. "The first thing she did was give me a hug," Hellebusch said. "You've got to have hope during treatment, you have to have people who provide hope to you." At Markey, he received systemic chemotherapy for a year, in conjunction with the lung surgeries and radiation treatment he underwent at MD Anderson. Arnold, in collaboration with the physicians at MD Anderson, also treated Hellebusch with the drug bevacizumab for four cycles to treat his brain necrosis. Today, after radiation, chemotherapy, and four surgeries, Hellebusch is slowly recovering his strength and happy to be alive. He will continue to visit both his physicians for followup appointments, but right now, he's considered cancer-free. And he's cycling again, though his 150-mile per week mileage has been cut to roughly 25-30 miles a week. He's even ridden his bicycle to a few of his follow-up appointments at Markey. Hellebusch will be active again this Sunday, when he joins the state's first-ever Free to Breathe walk, held on UK's campus. Free to Breathe is a national event that raises awareness and research funding to defeat lung cancer. Lung cancer kills nearly twice as many women as breast cancer, and it is the leading cause of cancer deaths for both men and women in the United States. Despite this, lung cancer receives less government funding per death than other types of cancer. All proceeds from Free to Breathe events benefit the National Lung Cancer Partnership’s research, education and awareness programs. Since the event series began in 2006, it has raised more than $3.6 million with 100 percent of the net proceeds dedicated to making a difference for people affected by lung cancer and to directly funding programs of change. Hellebusch says he has already raised roughly $5,000 for the event. He also attends lung cancer support groups at UK, says he hopes that by sharing his story with other patients, he'll give them that same spark of hope that he himself was given. On Sunday, he hopes that the walk will give participants a reason to celebrate. "I hope it will be a big, festive day," Hellebusch said. "I tell people, you don't even have to walk — just come out and have a look around." The Free to Breathe walk will begin at the new pavilion of the UK Albert B. Chandler Hospital on Nov. 13. The walk officially begins at 9:15 a.m., with registration at 8 a.m. An awards ceremony will follow. For more information on how to register, donate, sponsor or volunteer for this event, visit Lexington's Free to Breathe site, or contact the co-chairs at lisa.maggio@gmail.com or ginakinsella@yahoo.com. MEDIA CONTACT: Allison Perry, (859) 323-2399 or allison.perry@uky.edu.